Big sister Campbell (that always tickles us) got to welcome twin baby sisters into her life about eight months ago. It melted our hearts watching Lauren and Quinn make googly eyes for Campbell - they really couldn't get enough of what she was up to. 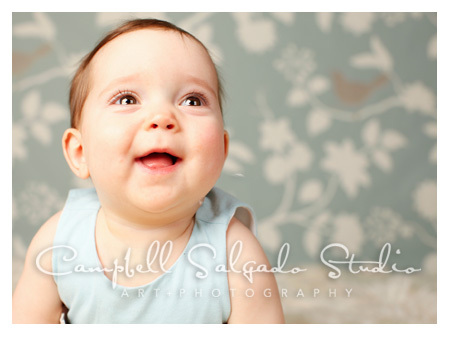 Since this session was about the new babies that Emily and Eric had brought into the world we could resist a few individual portraits on a new background. Super sweet don't you think?